#GivingBloodMatters—It Truly Makes A Difference; Join Sabriya’s Castle of Fun Foundation for a day of saving lives by giving a little bit of love. Giving blood benefits everybody involved. According to the American Journal of Epidemiology, blood donors are 88% less likely to suffer a heart attack. When you give blood, it’s like getting a mini checkup—a quick physical that measures your temperature, pulse, blood pressure, and hemoglobin levels. The blood is then tested, checking for infectious diseases, like HIV and West Nile virus. If anything comes back positive, you are notified immediately. These are just some of the benefits of giving blood. On Saturday, September 24, Sabriya’s Castle of Fun Foundation (SCFF) Annual Blood Drive will be at a new location—the Baldwin Hills Crenshaw Plaza. It’s a task worthy of the community and is vitally needed. Giving blood matters and SCFF knows this from personal experience and loss. 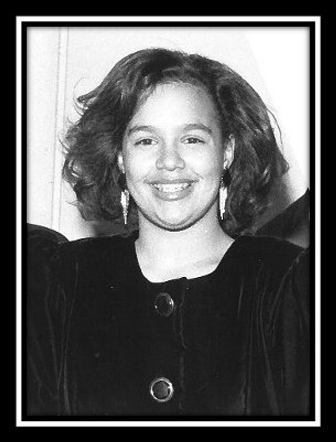 SCFF was created in honor of Aline and Danny Bakewell Sr.’s daughter, Sabriya Bakewell, who passed away from leukemia at the age of 17. SCFF was created to be a “fun therapy” and supportive service to children with leukemia, sickle cell disease and other chronic blood diseases since 1992. Since then, the foundation has been dedicated to helping children cope with life-threatening diseases. Blood transfusions are necessary for many who are afflicted with diseases like sickle cell disease, patients on dialysis and in surgery. Patients with sickle cell disease in particular require frequent blood transfusions and need blood donors that do not have C, E, and K red cell proteins. If a donor does not have these proteins in their red blood cells, their blood is reserved for transfusions for patients with sickle cell disease. About 55% of African Americans are CEK-negative, compared to less than 1% of the general population. There is a high priority for African Americans and other people of color to give blood. There are certain blood types, which carry specific antigens that are only found in people of African descent or non-African descent. Needles are a scary situation for some people but a moment’s prick is worth someone getting to live. Most people avoid giving blood due to fear or having the wrong information. For first-time donors, after the initial pinch of the needle, it’s done. Those few minutes spent giving blood is helping many unseen faces in need and one of SCFF’s partners, Children’s Hospital L.A., makes sure your experience is comfortable. You can show your support by putting out the word to your friends and family to donate blood. There is a serious shortage of blood for children of color, so join the effort to help our children. If you are 17 or older, then you can donate but you must provide valid photo id, weigh more than 110 pound and be well hydrated. “Leukemia and sickle cell are diseases that affect people of color,” said Danny Bakewell, Jr. Executive Editor/Chief of Staff at the Sentinel. “It feels good to know that someone will be able to utilize my blood,” said blood donor Jasmine, Mazyck at the 2015 SCFF Blood Drive. “I’m just wanting to give back,” said blood donor, Diangelo Penniman. 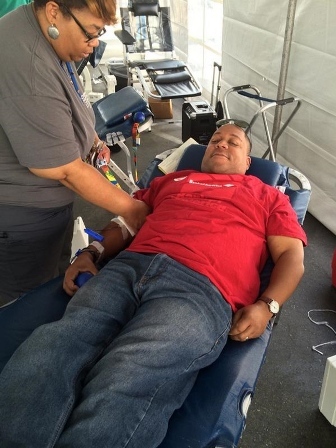 “My step-daughter had leukemia at age six,” said Assemblymember Karen Bass at the 2015 SCFF Blood Drive. “I remember giving blood many times for her. “I’m a patient who gets blood every three weeks,” said Misty Williams Marshall, founder of the Misty Melony Sickle Cell Disease Foundation. Join Sabriya’s Castle of Fun Foundation (SCFF) Saturday, September 24, from 10am-3pm at the Baldwin Hills Crenshaw Plaza’s Farmer’s Market. Sabriya’s Castle of Fun Foun­dation is in partnership with Chil­dren’s Hospital of Los Angeles, Crenshaw Chamber of Commerce, Mothers in Action, L.A., L.A. Urban League Young Professionals, The Brotherhood Crusade, L.A. Commission on the Status of Women, Bank of America, Misty Melony Sickle Cell Disease Foundation, Life Beyond Church, 729 Beauty, Radio Free KJLH and Kappa Alpha Psi. After you donate a unit of blood, you lose a quarter of a gram of iron, which gets replenished from the food you eat in the weeks after. This regulation of iron levels is a good thing, because having too much iron could be bad news for your blood vessels. One more benefit comes from a study from Health Psychology which shows that people who volunteered for human reasons had a significantly reduced risk of mortality four years later than those who volunteered for themselves alone. You give and you get back a healthier body, a sense of community belonging and save lives at the same time. Sign up to donate the day of the event by clicking this link: http://www.sabriyascastle.org/blood-drives.html. If you decide to give blood with SCFF, share the website link with #GivingBloodMatters or #GBM on social media.